We just made it back from our first trip to GABF...what an experience, more in the coming days on our trip. Leaving early on Saturday meant we would miss the GABF awards which was a bummer, but we were able to follow along for most of it on social media. 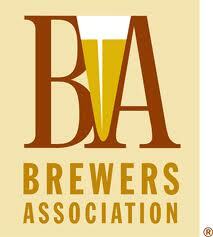 If you missed the awards and want to know who won the Brewers Association has posted the infomation on the 275 medals that were awarded this year. 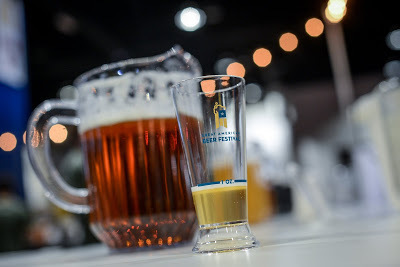 Boulder, CO • September 26, 2015—The 2015 Great American Beer Festival (GABF) competition awarded 275 medals to some of the best commercial breweries in the United States, plus three GABF Pro-Am medals to teams of amateur brewers paired with professional brewers. Presented by the Brewers Association, GABF is the largest commercial beer competition in the world and a symbol of brewing excellence. In its 29th year, the 2015 competition surpassed all previous participation records, exceeding last year’s record-setting competition. View the 2015 winners or download a PDF list of the winners. Award-winning brewers received prestigious gold, silver and bronze medals in 92 beer categories covering 145 different beer styles (including all subcategories), establishing the best examples of each style in the country. Winners were chosen from 6,647 competition entries (20 percent more than in 2014) from 1,552 breweries hailing from 50 states plus Washington, D.C. This year's GABF competition saw its biggest panel of judges ever, with 242 beer experts from 15 countries, including the U.S., and 155 competition volunteers. The panel also evaluated 91 Pro-Am entries. · 38 first-time entering breweries won awards. Since 2002, the most-entered category has been American-Style India Pale Ale (IPA), which saw 336 entries in 2015. · 1,552 breweries in the competition from 50 states plus Washington, D.C.